It is widely believed that the inventors of what we now know as moving pictures and film were Thomas Edison and the Lumière brothers. They won all the headlines for their ingenious discovery and entered history as the inventors of a tool that has dominated the entertainment world for over a century. However, the beginnings of film are not to be credited solely to these three figures. They certainly won the patent war, but there is more to this story than inventiveness. There is also the tale of his mysterious disappearance which has never been solved and many believe could have been foul play on the part of his famous competitor Thomas Edison. 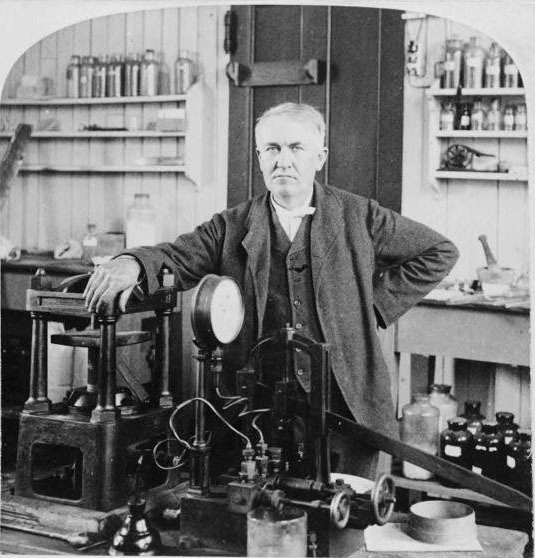 Thomas Edison in his laboratory, 1901. 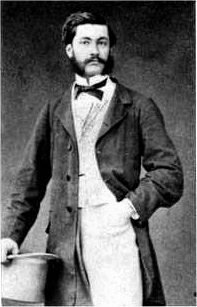 Louis Aimá Augustin Le Prince, the son of an officer from the Legion of Honor, established by Napoleon Bonaparte, was born in 1841. His father had many prominent friends and among them was Louis Daguerre, inventor of the daguerreotype process of photography. The younger Le Prince was fascinated by the process and started to learn the basics of chemistry and photography from his father’s friend. Louis Le Prince, inventor of motion picture film. He fell in love with the process so hard that he continued to study painting and chemistry in Paris and Leipzig. Upon finishing his studies, he was invited by John Whitley to move to England. Together with his wife he established the Leeds Technical School of Art, a school of applied arts where Le Prince furthered his specialization in tinting and photography. He later moved to the U.S., and took French-American dual citizenship in 1889. 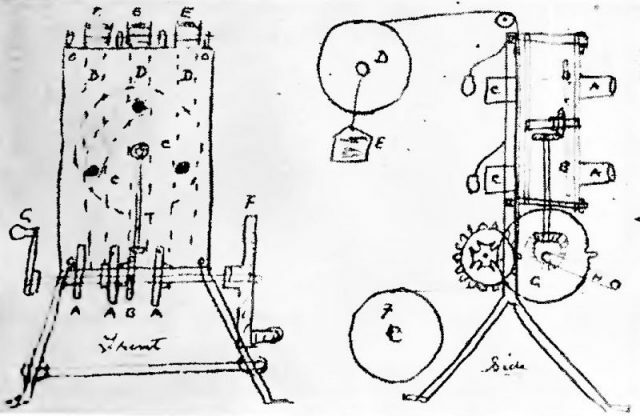 Sketch of three-lens Le Prince projector by James Longley. During the 1880s Le Prince started to develop an interest in moving pictures, which led him to inventing a 16-lens camera in 1886. The patent describes it as an integrated moving picture camera and projector. He continued to work on his invention and developed the Le Prince Single-lens Cine Camera — considered one of the groundbreaking inventions in cinema history. 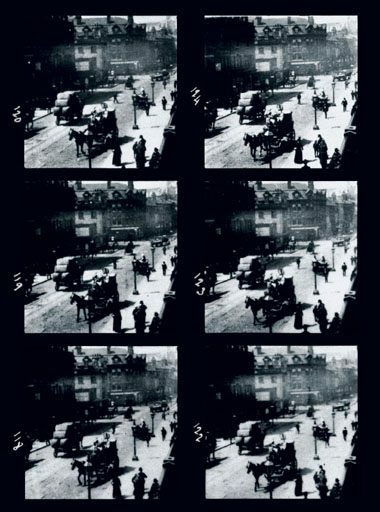 In October 1888 he filmed what is known to be the first moving pictures in history in Leeds, England. 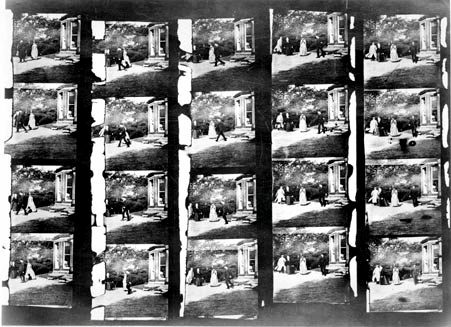 Original 20 frames taken at Roundhay, 1888. National Science Museum, London, 1931 (Courtesy of NMPFT, Bradford). He captured three short films: Roundhay Garden Scene, Traffic Crossing at Leeds Bridge, and footage of his son playing the accordion. Even though his invention, using paper-backed stripping film, may seem primitive in comparison to equipment used later on or today, it is no doubt that it was successful, which means that his invention predates the ones of Edison and the Lumière brothers. However, in September 1890, Le Prince mysteriously disappeared without a trace. He was on his way to demonstrate his single-lens camera in the U.S., which would have been the first time his technology and films would be displayed to the general public and would have been a serious blow to Edison’s claim to the moving picture. Le Prince was also planning to patent the idea which would have guaranteed him, not Edison, royalties in perpetuity for the new invention. He was visiting his brother in Dijon and on September 16th boarded a train to Paris, where he was then planning to head across the Atlantic. However he never made it to Paris. Le Prince along with his luggage were nowhere to be found. It was if he had vanished into thin air. He had been seen boarding the train yet nobody claimed to have seen him in the compartments. There are a few competing theories as to what happened to Le Prince. First is that he ended his own life due to an impending bankruptcy. His great nephew believes this was the case but records from the time show that his business was doing well. 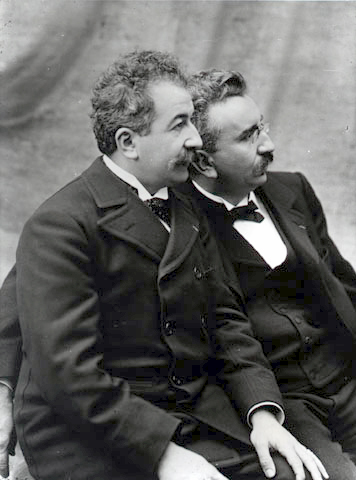 Brothers Auguste and Louis Lumière. The second is that he accidentally drowned. This idea could hold some credence. In 2003, researchers identified a photograph of a French drowning victim which dated back to 1890, around the same time as his disappearance. This is entirely plausible, but it doesn’t explain how his luggage disappeared as well how nobody on the train reported seeing a man fall out of the train. 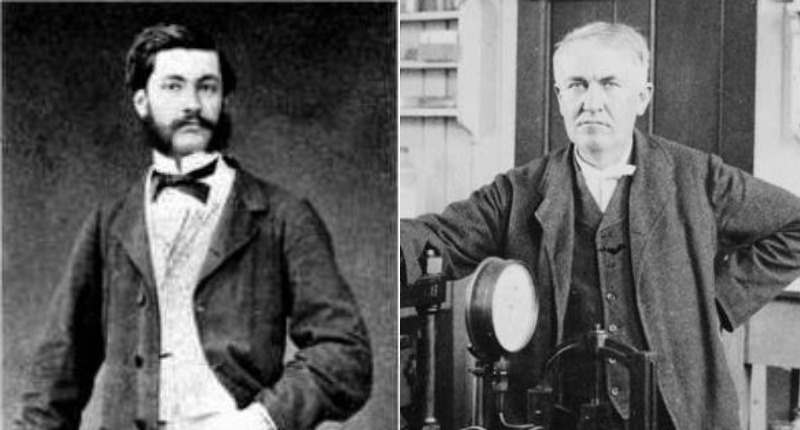 The final theory is that none other than Thomas Edison was behind his early end. A theory which many of Le Prince’s family members thought was entirely possible. According to the BBC at this time Edison was claiming that he was the sole inventor of the motion picture. Adolphe Le Prince, Louis’ son was contesting this in court. Had Le Prince completed his journey he would have been only weeks away from filing a patent which would have destroyed Edison’s case and claim to the motion picture and subsequent royalties. As it was Edison eventually won the case, though it was contested a year later. Another strange fact is that two years after this Adolphe Le Prince himself met a very mysterious end. The 29-yr-old was found fatally shot while duck hunting in New York. This case has also gone unsolved.